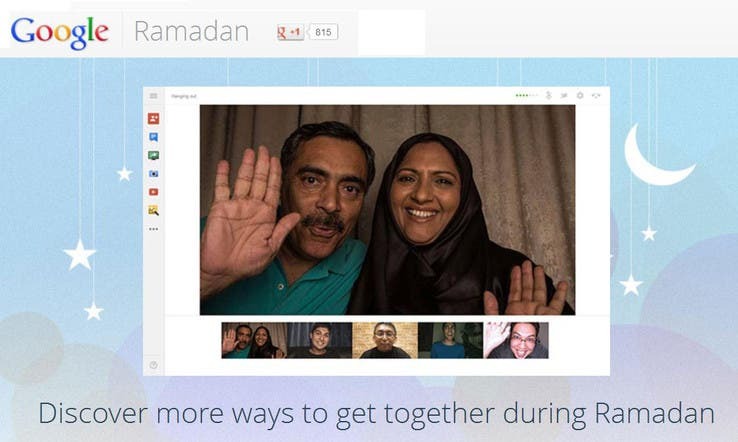 Technology companies across the Middle East and North Africa have marked the start of Ramadan with the launch of a variety of themed services and applications. Google is one of several brands to announce special services for the Holy Month, with the unveiling of a dedicated “hub,” according to a statement by the internet giant issued today. The website provides a wide variety of services to Muslims, including a YouTube section posting daily Ramadan videos, celebrity Google+ hangouts, chef-inspired Iftar ideas and a Ramadan events timeline, tracking the key moments throughout the month. Visitors to the site can also watch the daily rituals of Umrah, streamed live from Mecca, via the Saudi Ministry of Culture and Information’s YouTube channel. Nokia and Microsoft have also jointly released a selection of Ramadan apps, which are now directly downloadable from the Windows Phone Store. They said there was strong interest from the region’s app-developer community to produce Islamic and Ramadan themed platforms, allowing Muslims across the world to celebrate the Holy Month together. “This Ramadan, Nokia Lumia users will now have easy access to many of the cherished experiences that Muslims like to be close to and keep them connected to Ramadan,” Michael Mansour, the developer platform and technology lead at Microsoft Gulf, said in a statement. Available apps include ‘Ramadan Kareem’, giving the time for both the next prayer and ‘Quran Mojawed’, which offers the complete Quran in Arabic calligraphy. Blackberry has also launched several Ramadan themed apps, including ‘Islam 101’, which covers the fundamental principles and beliefs of Islam, and ‘Pilgrimage’, which is dedicated to exploring the Hajj, according to Blackberry maker Research In Motion. The first day of Ramadan began today, as Muslims across the world start a daily period of fasting, concluding in early August.